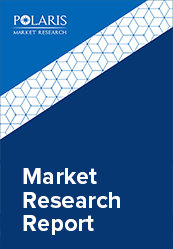 The global x-ray photoelectron spectroscopy market size was estimated at USD 529.7 million in 2017 and is anticipated to gain significant traction over coming years. X-ray Photoelectron Spectroscopy is also known as Electron Spectroscopy for Chemical Analysis (ESCA). This is a method to demonstrate the external region of compounds by estimating the energy supply of electrons evicted from the chemical composites. X-ray photoelectron spectroscopy is a procedure which is broadly used to gain chemical construction and valuable quantitative data regarding the surface of dense materials. By X-ray photoelectron spectroscopy both chemical composition and chemical state of surface components can be identified. Such device can analyze an extensive variety of materials such as medical implants, inorganic compounds, polymers, semiconductors, ceramics, glasses, metals, paints, biomaterials and composite materials regardless of electric conductivity. In general, X-ray photoelectron spectroscopy uses photoelectric effect which is generated by x-rays. This device also contains an analysis of x-ray irradiation, electron kinetic energy measurement, and photoelectron anticipation. X-rays photoelectron spectroscopy is used to study the determination of biomolecule components and biomaterials, drug safety, and medical implants. By this type of devices, contamination recognition of organic and inorganic contaminants is possible. The global X-ray photoelectron spectroscopy market growth is driven by the swift proportion of advancement in technology. X-ray photoelectron spectroscopy studies the external portion of the material without damaging it. X-ray photoelectron spectroscopy boosts the growth of new materials or composites and increases the performance of obtainable constituents further enhancing the market growth. In addition, favorable reimbursement policies are anticipated to drive the global x-ray photoelectron spectroscopy market growth. However, lack of skilled experts and rising market competition are the key factors hampering the growth of the global x-ray photoelectron spectroscopy market. In addition, the usage of the X-ray photoelectron spectroscopy is limited to the study the surface chemistry of samples which further anticipated to restrain the market growth. The global X-ray Photoelectron Spectroscopy Market is segmented on the basis of analysis type, application, and geography. On the basis of analysis type, the global x-ray photoelectron spectroscopy market is segmented into element detection, contamination detection, density estimation, and empirical formula determination. In 2017, element detection segment is anticipated to dominate the market growth due to its diverse applications in the spectroscopy. On the basis of application, the global x-ray photoelectron spectroscopy market is segmented into healthcare, semiconductors, electronics, aerospace, automotive, and others. In 2017, healthcare segment is estimated to dominate the global x-ray photoelectron spectroscopy market. The healthcare segment includes studying cell/bacteria/tissue analysis, characterization of chemicals, antibody immobilization, and the study of proteins and peptides. The dominance is attributed to strict regulatory authority necessities for minimal drug errors and an insignificant amount of contaminants in healthcare products. Moreover, increasing healthcare expenditure by people and advancement in technology such as hyphenated methods are boosting the growth of this segment. In terms of geography, North America dominated the x-ray photoelectron spectroscopy market globally and is expected to retain its dominance over the forecast period. Increasing application of XPS for drug safety and medical research, rising popularity of hyphenated technology, ongoing technological advancements and growing demand for spectroscopy in industrial and environmental industries are anticipated to fuel growth of this market over the forecast period. However, Asia Pacific is anticipated to dominated to global x-ray photoelectron spectroscopy market during the forecast period, owing to developing healthcare infrastructure in emerging economies such as China and India. Major firms are focusing on small firms with a working methodology of securing the end goal to manage position in the market and are associated with mergers and acquisitions, key joint efforts, and novel item advancement to pick up profit share in the business. Some major key players in global X-ray Photoelectron Spectroscopy Market includes ThermoFisher Scientific, Scientica Omicron, ReVera Incorporated, STAIB Instruments, ULVAC Technologies, Inc., JEOL Ltd, Kratos Analytical Ltd, Evan Analytical Group (EAG), Intertek, and Mitsubishi Electric among others.